It's almost October 1994. That means it was almost 25 years ago that King Crimson's debut album In the Court of the Crimson King was released on both sides of the ocean, and the term "Progressive Rock" was born — at first a trend that grew out of the late 60s musical awareness that elevated the importance of the instrumentation and soloing while diminishing the importance of the singer, the lyrics, and the old song structure that had remained essentially unchanged since the early 50s. Suddenly artists no longer needed to prove themselves with a handful of hit singles before a record company would give them an album (which in those days usually meant a collection of all those singles, their B-sides, and some crappy filler tunes); over a period of a few years from about '66 through '69, the album supplanted the single in importance. The long-playing album became the new musical statement, and if the record company could find something in it that might be single-worthy, then all the better for them, but it certainly was no longer a requirement. It was an era of experimentation, artists reaching out to new and unlikely influences, blending various heretofore incongruous musical forms into fresh new ideas, and giving it all a spirited new meaning within the revolutionary context of the times. Never before could such musical diversity coexist so harmoniously on the same stage (and never would it again) than the period from the mid-sixties through the turn of the decade. Somewhere in this maelstrom FM rock radio was born, which further fueled the intensity of the storm of change, for a few years at least — until the big money caught up to it and changed it into just another commercial outlet for hawking merchandise. So with this I would like to take a look at some of the great progressive rock music that existed prior to the turn of the decade, and in the process debunk the notion that 'progressive rock' was born when the big labels caught on and coined the term, finally figuring they had something they could domesticate and market. Few could argue that The Beatles started the ball rolling. In 1966 they were the biggest thing that had ever hit the music scene anywhere, and although many have outsold them since, I seriously doubt that any had as much impact and influence over the music industry. Their first few years on the scene they were content to play a uniquely British answer to the simple pop music of the day. All that began to change with the release of Rubber Soul, Yesterday and Today, and Revolver in 66; they were beginning to stretch the envelope. Yet it was 1967's masterpiece Sgt. 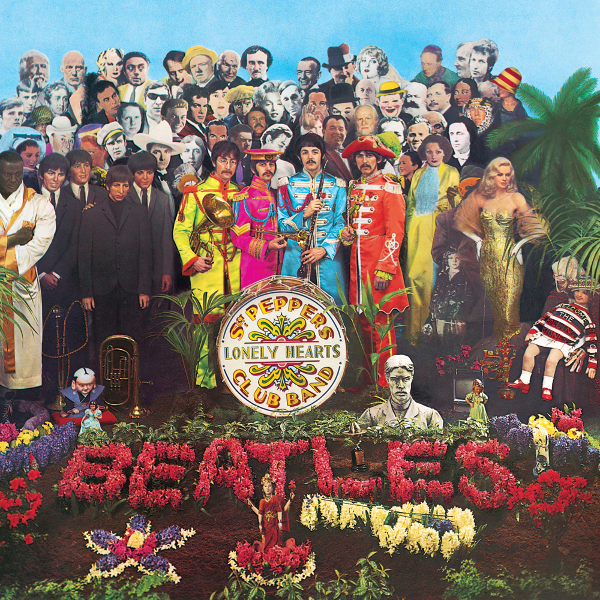 Pepper’s Lonely Hearts Club Band that truly started the revolution, reaching out in many new directions, bringing a plethora of new and unlikely influences to the pop idiom, and perfecting it as pop. If anyone else had released such an album, it never would have made the impact it did — it was The Beatles enormous popularity more than anything else that prepared the rock audiences of the day to accept, and eventually grow into new directions. Later that year they would top it off with Magical Mystery Tour, an album that broke even more barriers, and left some of the old fans who couldn't accept the changes by the wayside — although most went along. Unfortunately, it would be the last of their truly adventurous albums. 1968's The Beatles double-LP with its white cover contained little in the way of substantive stylistic progression — merely a purification of all they had done up to that point. Subsequent albums became even less adventurous, yet they do stand up well as perfections of a balanced pop / rock style that pointed to the future. 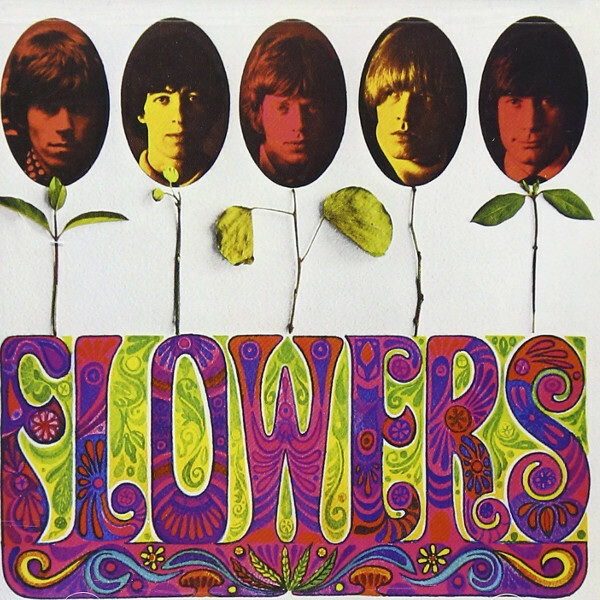 Almost parallel with the same developments, The Rolling Stones, always second in popularity — a scruffy bunch of blues and Motown influenced lads who made the Beatles look like choirboys — began to reach out as well, incorporating unusual instrumentation, dark arty structures and an aura of general experimentation, mostly spurred on by lead guitarist Brian Jones. Although their first handful of albums are basic rhythm and blues with a strong nod to the pop hook, evidence of change began with Aftermath in '66 and Between the Buttons the following year, reaching fruition on their overtly pschedelic compendium album Flowers. It, more than any Stones album illustrates what direction Jones was attempting to lead the band; it could be considered their answer to Sgt. Pepper, although the Stones' harder edge and lesser popularity made it less of a consumer item, and as such it made less of an impact. One more outstanding album, Their Satanic Majesties Request, would be released before Jones was eased out of the lineup, resulting in their eventual return to the straight-ahead rock style which they play to this day. In the wake of the Beatles and Stones, hundreds of other British bands came to prominence, most offering little but imitation and variation, although after a period of time, many of this so-called British invasion were beginning to experiment with their pop sensibility, among these were The Animals, The Spencer Davis Group, and The Yardbirds — one of the first to move the guitar in front of the singer in importance. Following three years of cranking out clever pop songs, The Zombies released their masterpiece Odessey & Oracle in '68, an album that transcended most of the pop norms of the day. After a rather unremarkable debut album in '65, The Moody Blues regrouped and surprised everyone in '67 with their incredible Days of Future Passed, an ambitious attempt at fusing rock music, poetry, and an orchestra. Despite its shortcomings, it stands as one of the earliest efforts of its kind; The Moodies were also one of the first major bands to employ the Mellotron, a mysterious new keyboard instrument that would become a progressive rock mainstay by the turn of the decade. For another five albums The Moodies would continue to remain at the forefront, while expanding the norms of pop and rock, each album breaking new ground, until they finally ran out of steam around '72. By 1967, several new British names were beginning to point to further changes in the overall musical climate. 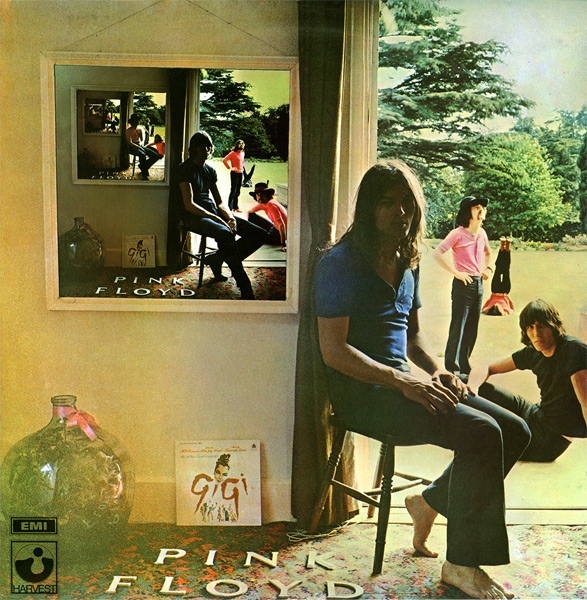 Pink Floyd released their sparkling debut, Piper at the Gates of Dawn, and though it clearly resembled Sgt. Pepper in many respects, it broke plenty of new ground, leading to their even more inventive follow-up A Saucerful of Secrets in '68. 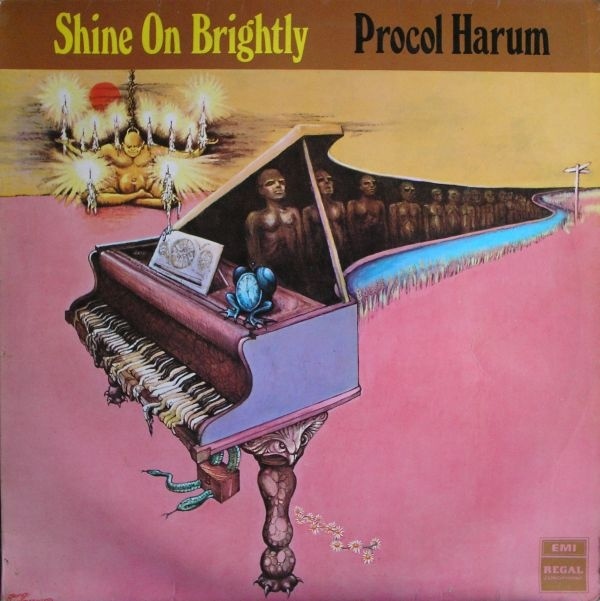 About the same time, Procol Harum, after a promising debut album in '67, had just released their stunning second offering Shine on Brightly; at a time when other bands were just starting to figure out what to do with keyboards, Procol Harum had no less than two keyboardists in Matthew Fisher and also-singer Gary Brooker. Their sidelong "In Held Twas I" has to be one of the earliest progressive rock epics. The American side of the equation was very different, and indeed was exerting a strong influence on the British music of the day. The entire west-coast music scene of the mid-60s seemed to be hard at work developing various unique blends of folk and rock. A combination of many sociological elements (which I don't have time to go into here) led to a blossoming of musical experimentation around 1967 across the nation. One of the earliest American bands to infuse new vision into their music was New York City's The Left Banke, playing a sort-of baroque rock, complete with harpsichord. They had a couple of hits in 1967 and a couple albums that followed, but sputtered out soon after songwriter / keyboardist Michael Brown left the group, and overall their impact was minimal. Also of little lasting impact, but years ahead of their time musically, were Boston's Ultimate Spinach, who on their first self-titled album and its 1968 follow-up Behold and See fused rock, classical, and jazz ideas into lengthy multi-part suites that often bore little resemblance to the typical song structures of the day. Unfortunately, the quasi trippy-hippy flower-power lyrics dated these otherwise fine albums, making them today almost a laughable caricature of the 60s. San Francisco in 1967-68 had a major impact on popular music across America and around the world. In this cauldron of musical ideas, it seemed almost anything was possible. Fueled by the availability of LSD and the general counter-cultural ethic of the moment, bands were attempting almost anything and everything as far as bringing diverse musical influences together. Many things were tried, but little was refined beyond the general psychedelia that permeated the two-year event. One with the patience to dig deep and listen close will find a treasure chest of great ideas long forgotten. 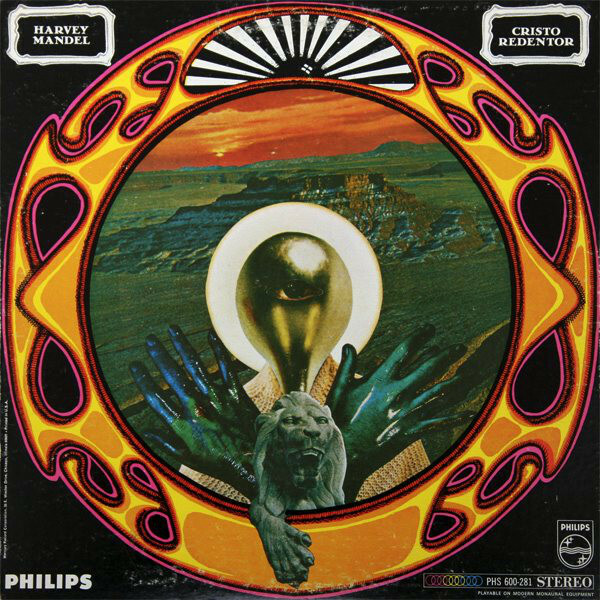 Out of that scene, a young guitarist named Harvey Mandel released a stunning debut album called Cristo Redentor, a smorgasbord of instrumental rock, blues, jazz, country and psychedelia, an album which today stands every bit as strong as it did then. Another band worthy of note, but virtually unknown, was Fifty Foot Hose, whose debut album Cauldron was one of the earliest to attempt to bring electronics into a rock band's integral sound. (Although The Beatles, Stones, and Beach Boys had tinkered with this, FFH made a major commitment to it with a full-time oscillator player in their lineup.) Perhaps the most exalted of all the San Francisco bands (at least in this writer's mind) from a progressive standpoint, were It's a Beautiful Day, led by violinist David LaFlamme and singer Pattie Santos; the level of conceptual refinement on their self-titled debut would set a new standard for years to come, bringing in ideas from rock, folk, classical, blues, and just about anything else one can think of. The follow-up album, Marrying Maiden, reached out even further, yet lacked some of the overall conceptual integrity of the first. After that, the band floundered due to constant personnel changes and problems within the band. Naturally, the significance of Jefferson Airplane cannot be overlooked; despite their quasi-trendy hipness, they did push the limits early on and started the Bay Area ball rolling. Similar trends in music were also occurring a few hundred miles south in Los Angeles. First and foremost were The Mothers of Invention led by Frank Zappa. 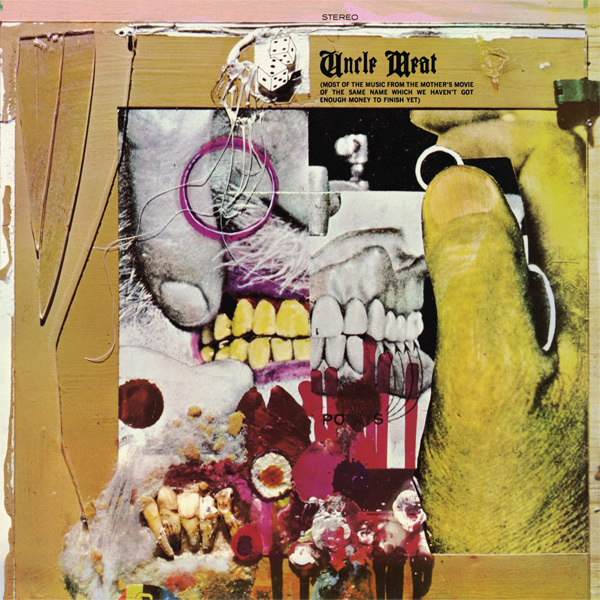 Their first album, released in 1966, and subsequent releases through the end of '67 were perhaps the strangest concoctions of musical styles, experimentation, and poignant social commentary ever recorded, looking at the entire 60s sociological upheaval and American society in general through a cynical looking glass. It wasn't until Uncle Meat in '68 that their musical prowess became startlingly obvious; in that meeting of rock, jazz, neo-classical, free-improv, and doo-wop, they served it up with a minimum of lyrics. Zappa's good friend Captain Beefheart would in a matter of months release his over-the-top Trout Mask Replica, a major milestone in innovation. Also on the LA circuit was a new five-piece called Spirit, whose self titled debut echoed the jazz background of drummer Ed Cassidy and keyboardist John Locke, the folk-rock of singer Jay Ferguson and bassist Mark Andes, and the spirited guitar playing of a young Randy California. Later albums would continue this balancing act between commercial rock and progressivism, until the breakup of this edition of the band in 1971. Another noteworthy band that made a brief stir and then split up was Touch, originally from the Portland area but relocated to Los Angeles, whose self-titled debut pointed to future directions of prog rock. Finally, no mention of late 60s LA could go without mention of Iron Butterfly and The Doors — the former for making the side-long album cut acceptable, and the latter for their atypical style and the ascent of the rock poet / singer Jim Morrison, who no doubt would influence many that followed, not the least of which is Marillion's Fish. By late ’68 and early ’69, the focus was again shifting back to England and the new crop of bands coming up at that time. American guitarist Jimi Hendrix had initially generated plenty of excitement with the first two albums by his Britain-based band The Jimi Hendrix Experience in ’67, using a combination of rock, rhythm and blues laced with an abundance of colorful psychedelics; but it was Electric Ladyland that truly showed what Hendrix' potential was, especially on "Burning of the Midnight Lamp," "Gypsy Eyes," and side three's "1983 / Moon Turn the Tides." Hendrix would never again reach these heights in his studio recordings. The Nice had started out in '67 as a four-piece with a strong influence from Hendrix; after their debut and the split of guitarist / singer David O'List, the band was left as a trio with keyboardist Keith Emerson firmly in control, and bassist Lee Jackson being one of the worst singers that ever shouted into a microphone. Wisely, they gravitated towards instrumentals. 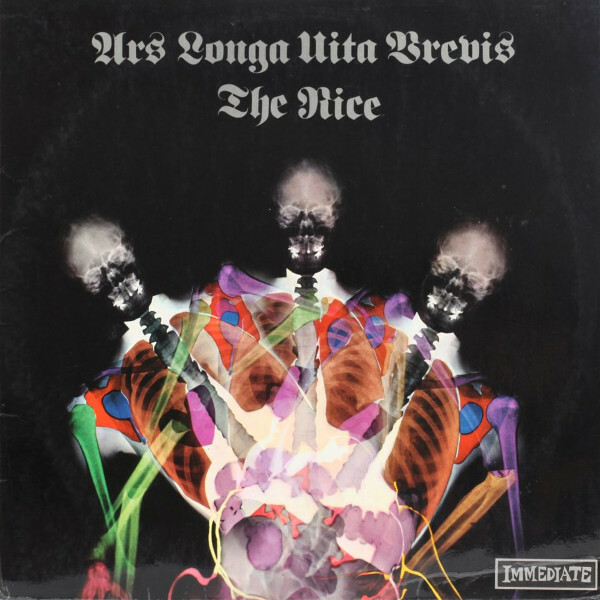 Their next two albums, Ars Longa Vita Brevis and Everything as Nice as Mother Makes It, both show a lot of potential that would later be carried forward by Emerson into ELP. On more of a folk-rock track and with strong influence from Bob Dylan, Fairport Convention by mid-’69 had released no less than four albums, each more musically cohesive than its predecessor; both Unhalfbricking and Leige & Lief, graced by Sandy Denny's unique vocals, are the albums that set the whole British folk-rock scene in motion. By 1969 Jethro Tull had produced two albums: their debut was a good blues-rock effort, but the ambitious Stand Up was certainly one of the most forward-looking rock albums of the day, bringing blues, rock, folk and jazz all together under one roof with Ian Anderson's vocals and his everpresent flute stylings. 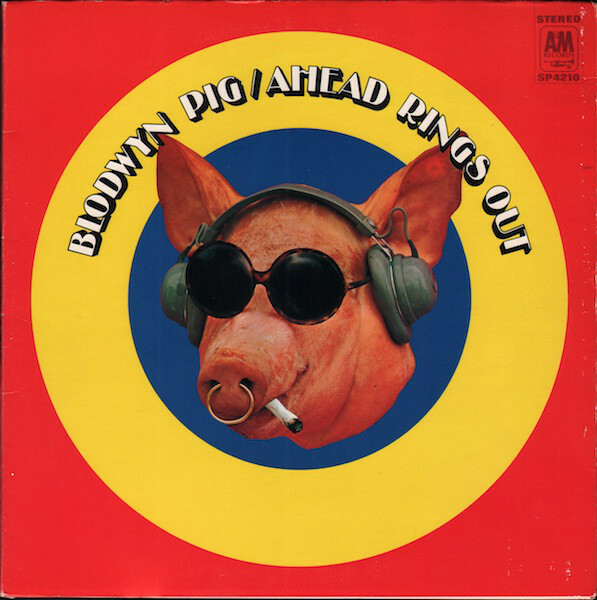 Guitarist Mick Abrahams split after the first album to create the first Jethro Tull spinoff, Blodwyn Pig, whose 1969 debut Ahead Rings Out sported a distinct move in a jazzier direction, while still retaining the blues-rock spirit of early Tull. After years of riding up and down the pop charts with at least a dozen hit singles to their credit, Manfred Mann decided it was time to produce a more serious music; he disbanded his original group and formed Chapter Three with former co-conspirator Mike Hugg and three other former sessionmen. This lineup featured two keyboards, alto flute, bass, drums, and Hugg's unique scratchy voice, plus sidemen on saxes and brass. This lineup would record two very interesting albums before Mann would return to the pop channel with his Earth Band. About this time, the Canterbury sound was coming together, an underground movement of sorts centered around a 60s group called The Wilde Flowers who never released any records — but later developed into three bands that would become legendary. Caravan released their first record in 1968, one which would hardly give a hint to the more progressive sound they would adopt in the 70s. Better known was The Soft Machine, probably due to the support they received from Hendrix, who took them on at least one US tour with him and recorded some sessions with them as well (where are the tapes of these sessions?). Their classic Volume Two was one of '69's most experimental and progressive albums. 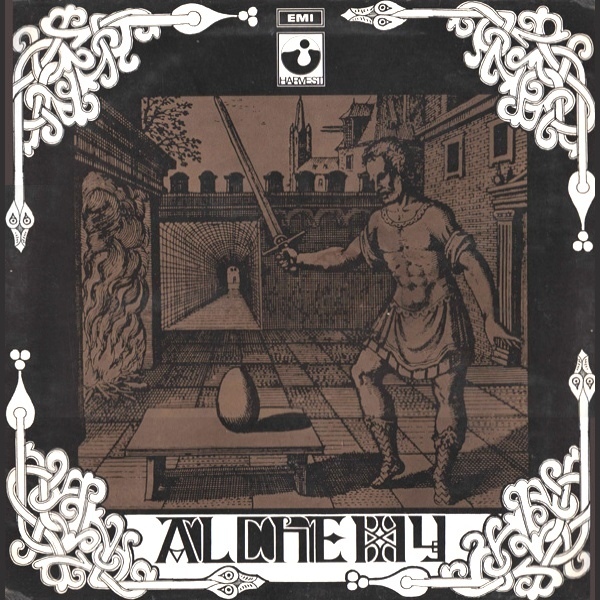 The third Canterbury offshoot was Egg (also known as Uriel before guitarist Steve Hillage split to go back to school), and although they had been together since ’68, their first album wasn't released until after 1970. Other stirrings were happening in the UK as well. Few can argue that Third Ear Band were one of the most unusual units on the scene with their unique brand of raga-rock meets chamber ensemble sound, while completely eschewing all the standard pop / rock sensibilities on their debut album Alchemy in ’69. Only a year before, The Crazy World of Arthur Brown was released on both sides of the ocean and the track "Fire," released as a single; both became instant hits despite the convoluted and disquieting theme of side one. Organist Vincent Crane and drummer Carl Palmer would go on to form the less impressive Atomic Rooster a year or so later, the latter opting out after the first album to form the first progressive supergroup ELP. Two British bands that used the violin as a lead instrument were High Tide, whose first album, Sea Shanties, echoed the coming hard rock of the times, and Curved Air, who seemed to fuse a bit of classical music with the Jefferson Airplane sound, some psychedelia, and the haunting vocals of Sonja Kristina on their debut album, Airconditioning. The breakup of the original Yardbirds in late '68 was not a major event when it finally happened, they hadn't had a real hit song in about a year and the public's attention was focusing more on some of the newer up and coming hard rock bands like Cream and Deep Purple. But the two bands that would form from the ashes of the Yardbirds would certainly have a lasting impact. The Led Zeppelin story is well known, beginning in '69 as the new Yardbirds to fulfill some contractual touring obligations, and then changing their name after the tour. Although some may not consider Zep progressive, their influence was powerful and extended to many bands of the day. The other band formed from ex-Yardbirds became a footnote, yet their influence was every bit as important: Renaissance was a folk-rock classical group that — unlike Zeppelin — bore no resemblance whatsoever to the Yardbirds. They tastefully took entire sections of classical pieces and glued them into their own lengthy suites, which would later become one of the many trademarks of the progressive sound. Their eponymous debut no doubt influenced many of the early Italian classical-rock bands like Il Rovescio della Medaglia and Le Orme. Unfortunately, the band disintegrated before another record was produced (their second album remained in mothballs until the mid-70s), and by the time all the shuffling was finished, the lineup that released the Prologue album in 1972 contained none of the original members. Despite the endorsement by Tony Wilson of Melody Maker on the back cover of the first album by Yes, their debut album in ’69 had little impact overall. It was an interesting album, but their time hadn't arrived yet. 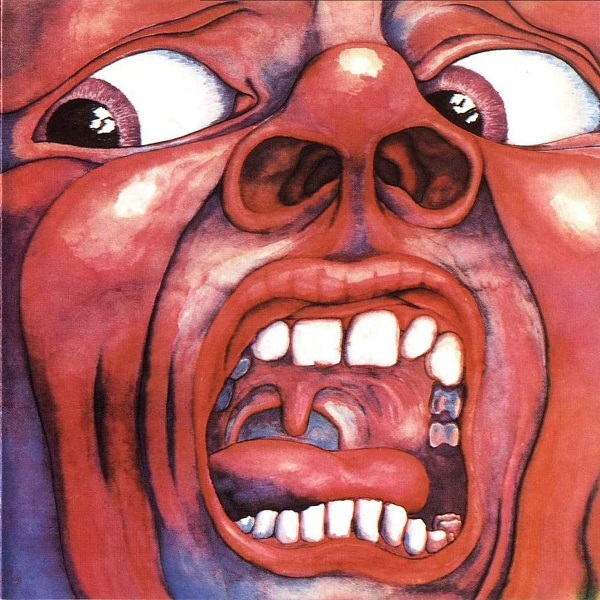 Finally, in the closing months of 1969 came the release of three of the most important albums of that year: King Crimson's celebrated epic In the Court of the Crimson King, which would forever stretch the limits of where rock music may tread; Procol Harum's third masterpiece, A Salty Dog (which may have been around earlier that year but wasn't brought to this writer's attention until the year's close), and the half-live half-studio double album from Pink Floyd, Ummagumma, an ambitious effort to present the band live and offer some studio recordings directed by each of the band's members. This roughly coincides with the release of the debut album by Santana, which ushered in a new era of more streamlined bands from the San Francisco area. The Summer of Love was dead. This was about the time that the term "progressive rock" came into being to describe the new and unusual instrumentally driven bands from the UK. The music world would never be the same again — or at least for a few years until the record industry needed a new fashion to spur sales. So, in conclusion, this has been written mostly from memory. I'm sure I've probably forgotten some important folks that had less of an impact on me than they did on others. Also, one should recognize that the focus of this article is exclusively along the Anglo-American axis, and that similar changes were occurring at roughly the same time in France, Germany, Italy, Scandinavia, and elsewhere. Apologies to all those that were overlooked or excluded in the name of space constraints. In closing I'd like to recommend checking as much of this music out as possible if you haven't heard it yet — most of it provides important links between what was before and what came after. They were a turbulent four years, more so than any four year period before or since. Creative rock music would live and prosper for another four years, maybe five — but it should be clear that after the 60s were over and the smoke had cleared, the establishment was again firmly in control of music's destiny, at least what they wanted to promote and propagate via the airwaves. Blame it all on The Beatles.